Let's start with Gold because it arguably is one of the most precious of the materials found on the island. 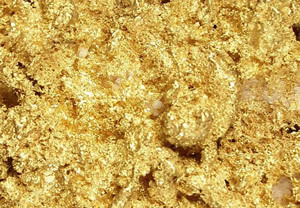 The first Gold was actually discovered way back in 1725, rather than the 1800's. This was when the Dutch West India Company sent out explorer Paulus Printz to the area. His task was to find out whether Gold and Silver resided on the islands. He found nothing on the first two, but by the time he got to Aruba, he discovered some. Although at this time, the extraction of the small amount of gold here wasn't enough to make the project financially viable, which meant Paulus was called back to Amsterdam. However, in a time when amateur gold searchers were all the rage, a number of people around the Netherlands began to hear information about the spoils that could potentially be waiting on Aruba. Over 100 years later, people began to descend on Aruba with dreams of finding gold. In fact, during this time, more people headed to the island than ever before. Now, I won't go into a lot of depth on what was discovered over time, that is a rather long history, suffice to say though, there was a lot of gold here, and it seemed the area which the Spanish dubbed the 'useless islands' no longer seemed to be useless. Sure, there wasn't as much gold here as other areas of the world, but there certainly was enough to give a nice little boost to the economy. This wasn't the only natural product that was exploited in Aruba though. During the 1800's, a new material was discovered here that wasn't as precious as gold, but certainly a lot more useful. This was phosphate, a sort of limestone made from the droppings of seagulls on the island. This was commonly used as fertilizer. An interesting fact here is that this Phosphate was actually a different colour to what had been seen before, in fact, it appeared in a multitude of different colours. This meant that it contributed to the name of Seroe Colorado, which literally means coloured hill. Over the years, Phosphate product picked up significantly. In fact, at one point, this material alone was bringing in enough money alone to finance the surrounding islands. However, the income of Phosphate was short lived, and as we entered the 19th century, sales eventually began to dry up, and it was no longer the powerhouse it used to be. Phosphate is still gathered from the region from time to time, but certainly not in the huge quantities that the area used to be known for, and due to advancements in technology it is unlikely whether production will ever get up to these levels again, which is a great shame. Probably one of the most important holidays in the calendar is the 4th July. It is a fantastic time to have a little party, and of course, see those traditional firework displays. It is also one of the best dates to go on vacation, after all, it isn't quite to the point where the majority of children will have left school, which means most tourist destinations are going to be relatively empty. Does this means that you need to sacrifice this celebration though? Not if you go to Aruba. One of the most baffling things for many Americans is that Aruba, a Caribbean Island actually celebrates the 4th July, something which they don't really need to do, after all, the island isn't American at all. However, what you need to be aware of is that they aren't actually celebrating the holiday in the truest sense, more putting on a display for the hordes of Americans that descend on the island during the summer months, particularly during the 4th of July week. What you need to be aware of is that not every hotel is going to be providing firework shows, in fact, the majority of them do not 'celebrate' 4th July. Your best bet will be to stay at one of the American chain hotels during the celebration as these normally do a display, although not always. This means that your best bets will be looking at hotels such as the Marriott, Hyatt and Divi. In the past, these hotels strictly offered the small firework shows only for their guests, but this has changed recently. I know for a fact that Hyatt and the Divi offer a show for their guests and the general public on the beach, so if you are at a loss about what to do on that day, then head to one of these resorts and it should be fine. It may be ideal to get in touch with them beforehand to see if they are going to be running an event or not, but they have done it every single year, so I think it is going to be unlikely. The great thing is, the majority of hotels don't run the events at the same time, which means you may be able to catch a couple of firework shows throughout the night. One of the best ways to catch multiple firework displays is to catch a cruise on that day. You will find that many of them run on the fourth of July. They will sit just off the coast for you, so you can catch one of the fantastic displays, glass of wine in hand, and delicious food in front of you. Once that is over, they will make haste and go to do the next one! If you are heading to Aruba, then I have a quick tip for you, something which many tourists don't actually do. This is to check the daily tourism newspapers every single day, particularly in the run up to the 4th July. You will be surprised at just how much information is included in these newspapers. In the run up to 4th of July, many people and hotels start to plan events which they never considered before, and quite often, the only way that you are going to find out about them is through these newspapers. Even if you aren't there for the 4th July, check them regularly. You will be surprised at just how much is going on in the area that is completely unknown about to most tourists, and I believe this is one of the best ways to get the most out of your trip to the island. 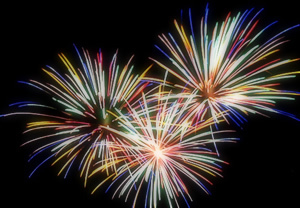 Remember, the hotels that actually offer fireworks on the 4th July varies every single year. Therefore, the best thing you can do before you travel is actually ask the hotel you are staying at whether they offer fireworks or not. If they don't, then give a call to other hotels in the area, preferably ones that are run by American hotel chains. If they are running a firework display, then it is likely that it will be held on the beach. Find out if you are allowed onto their beach during the celebration (many of them don't mind you entering their resort, after all, it is likely you will be spending money). If they don't, then as I mentioned previously, there are plenty of cruises that run around the area during the 4th July Fireworks which will enable you to catch them from the sea (it looks absolutely beautiful). If you are slightly more experienced, you may want to look into the idea of hiring a boat. Whatever happens though, make sure you don't miss those Fireworks when you are here, American or not! A couple of years after the deportation, the Spanish needed a bit more space. As a result, they turned Aruba into something which they dubbed a 'Rancho'. This basically meant that a number of animals such as donkeys, horses, pigs, sheep, goats and cattle were free to roam the land. Most of these animals had been imported from Spain, and of course, the Spanish needed to work out where they could store them. A few Spanish people came to live with the animals, and a few of the Native Indians were returned who would slave away on the Rancho ensuring that it stayed in perfect condition. Around this time, the Dutch done the same as the Spanish did all those years ago and start exploring the world. They weren't on the search for rich resources though. Oh know, they were on the search for salt to power their booming herring fishing industry. Now, in the past, they were able to source this from Spain and Portugal. This was great, until the relationship soured between the countries, leading to the famous eighty year war, which as the name suggests, lasted eighty years! During this time, they needed to look to the Caribbean for their salt resources. Of course, they may have been able to pick some up from closer to home, but hey, if you have the chance to go to a really hot location to do your work, you would too right? Now, as the Dutch began to gather more and more salt in the area, they were sending more and more people over there. At this time, the Dutch didn't really have a base of operations to call their own. 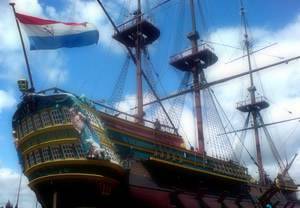 That all changed though when the Dutch discovered Curacao in 1634 and began to conquer it. This was the base of operations for the Dutch throughout the eighty year war. Of course, with an island being flanked by two others that were owned by your enemy, something needed to change, thus the Dutch took the easy option and conquered both Bonaire and Aruba to stop the Spanish Armada coming close. In the first few years of Dutch occupation, the Dutch done more for the islands than the Spanish had ever done. 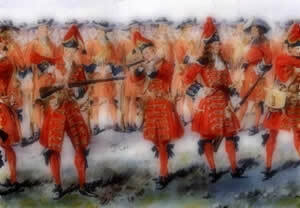 One of the first ventures here away from military action came from the Dutch West India Company, or the WIC. Their job was to develop the islands into an agricultural colony, something which the Spanish had been reluctant to do before, mainly because they believed the land wasn't good enough for it. Aruba was given the task of looking after horses and goats. In the early days, there were so many goats here, Aruba managed to earn itself the nickname 'Goat Island'. The Dutch were also a pretty industrious lot, and they discovered wood known as 'Brasilwood'. All of this was sent back to Amsterdam where convicts were given the task of changing it into something awesome. In this case, a material for red paint, which as we all know is incredibly useful! Even though the Dutch were in control of the island, there was very little to no Dutch inhabitants here. There was a commander in control of the island from Holland, who had their own assistants, but the only people who officially residing on the island were the native Indians. Their job was to keep a check on the cattle in the area, and also cut down the wood. It is believed that they were actually paid for both of these jobs, which does mean that they weren't slaves. Aruba was one of the more unique islands back then. As all of the surrounding areas were filling up with people from all over Europe, Aruba was pretty much deserted apart from Native Indians. This is because the WIC had decided to put a law in place which stopped anyone who wasn't from the island originally from inhabiting it. Of course, an exception was made to soldiers as this was a defence post primarily. The soldiers of the area resided in Savaneta. The Indians on the other hand lived in the north east of the island. This was somewhere in between Husidiabana, Seroe Cristel and Alto Vista. The amount of Indians here far outweighed those of the Dutch, with 141 of the former and 70 of the latter. Another of the more unique things about the island is that there were little to no black slaves here. As a result, much of the architecture of Aruba is in an Indian style. This is a stark contrast to nearby Bonaire. In 1770, a number of black slaves did come to the area, but they were not in big enough numbers to start to build up an influence on Aruba. As we know, the Dutch and the English didn't get on very well back then. England as in the process of establishing their empire, or at least the last few countries of it, and the Dutch wanted to just get on with things. It was the Napoleonic Era which had the most effect on the island of Aruba. A key year being 1806 when the English were able to take control of the island. There is actually very little that is known about the occupation from the English, although small snippets of information have shown that they didn't really manage to establish a presence here. That being said, the Dutch were able to gain control of the islands again in 1816. In 1816 (the year in which the Dutch gained control once more), the people landscape of the island had changed considerably. A census carried out at this time revealed that only 564 people of the 1732 that lived here were Native Indians. We also know that the main language at this time was Catholic. After that, the whole area started to go through a period of change, and some severe colonisation started happening. This is something which continues to this very day, albeit at a much slower pace than it did in the past. Now, neither the Dutch, English or Spanish occupied the island due to the amount of minerals here. In fact, I am sure you can remember me saying that the Spanish believed there was absolutely nothing here, and the Dutch thought that too. However, in the 1800's, expeditions were carried out which found a number of minerals that ended up contributing to the world's economy, many of them are still being produced today, so before we delve into the later history of Aruba, I want to cover this a little bit. Mainly because it has provided a key factor in the income that the island has been able to generate. Back in the 15th Century, there were a number of expeditions away from Europe by the , hence why Spanish tends to be a massive influence around the South American regions. 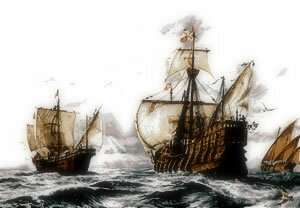 Around this time there were two great Spanish explorers, Alonso de Ojeda and Amerigo Vespucci. It is unlikely either of them met each other, in fact, neither probably knew who the other was. However, the both had a key role to play in the discovery of Aruba, mainly because historians do not know which one discovered Aruba first. We know that it was discovered by the Spanish in 1499, along with the rest of the surrounding islands, but we don't know who done it. Recent maps and drawings have surfaced which point to Amerigo Vespucci being the first Spanish person to step foot on Aruba, but this cannot be proven. So for now, just assume that at least one of them discovered it! So, the Spanish have now found the island, and it is time to give it a name. I must admit, they were very original back then. They decided to call the islands 'The Islas de Los Gigantes'. Anybody who has done even basic Spanish should know what that means, but if you don't, it literally translates to 'The Island of the Giants'. So, why did they do this? Well, because the people who originally inhabited the islands (the aforementioned Indians) were actually very tall, especially compared to the Spanish. See, very original right? The whole region tended to be known as the 'Islas Inutiles'. This literally translates to 'useless islands'. So, why did they call it that? Well, because there was no gold, silver or places to farm on the island, well, at least they thought. We will come to that a little bit soon. At the start, the Spanish and the Indians co-inhabited. It wasn't the best relationship due to the language barriers, but it was functional as the Spanish didn't really have any usage for the island, and thus they didn't hang around here too much. In 1513 they suddenly came up with a use though, and this is something that would surprise many of the Indians that inhabited Aruba. As you probably know, the Spanish were very industrious. This means that that around the world they had set up a number of mining outfits at the places they had conquered in the past. Santo Domingo was one of them. Here, they run a couple of Copper Mines. During the early years of these copper mines, they were run by the original Indians of Santo Domingo. Sadly though, disease brought over from Europe managed to wipe all of these native Indians out. I am sure the harsh treatment by the Spanish didn't help too much either. Anyway, the Spanish deported all of the Indians from Aruba, leaving it uninhabited for the first time in thousands of years. The islands would remain like this for a while yet with the Spanish only dropping in once in a while to see how everything was going.